When I first began my career as a photographer, I had a camera, a lens, and a battery charger. Over the years, things have drastically changed. At any given moment I would say my bag of gear weighs more than my 22-month old. Going from such a small stock of gear to my present and growing inventory had long since created a need for a better storage solution. It was time for a change and with my birthday coming up I knew I had to indulge myself, my growing business and take care of my precious cargo. I researched for months. I was finding myself very indecisive. I looked at Kelly Moore Bags, Epiphanie... but their stock was always limited and while their customers raved over how cute their bags were, the quality and craftsmanship for the price left much to be desired. I don't remember how I found my way onto Etsy, and more specifically Gypsy Rose Handbags, but there is where I found my very new, very custom, very awesome camera bag. The reviews for Judy's work (the woman who crafts each bag by hand) were impeccable. Nobody was questioning her craftsmanship and everyone raved about how many compliments they received on their bags. The first thing I noticed upon looking at the bag listing was the amount of padding (aka protection) in each pocket and throughout the bag - something I'd been unimpressed with in viewing other manufacturers. At the Etsy store you can customize your fabric, interior color, add pockets, zippers and ask for other specifications desired for your bag. When it arrived (packed with care) I was blown away. It was far better than I'd even imagined (I went with the Large Hobo style). The quality and craftsmanship was amazing. 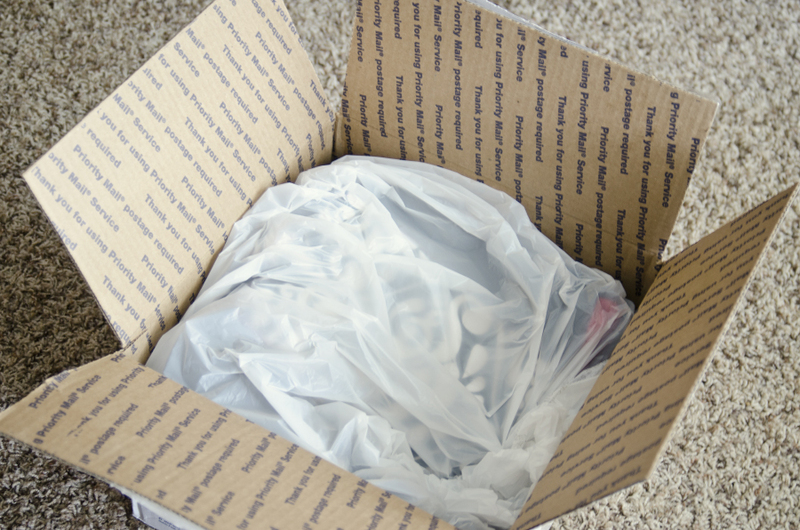 It was just as good as anything you'd find manufactured for a large retailer - but better. Think of the difference between TJMaxx and Prada... This is Prada people. The gear I carry with me varies from session to session, but much of what you see above is what I'll tote around with me for larger scale shoots. 2 camera bodies (obviously using one to photograph the goods! 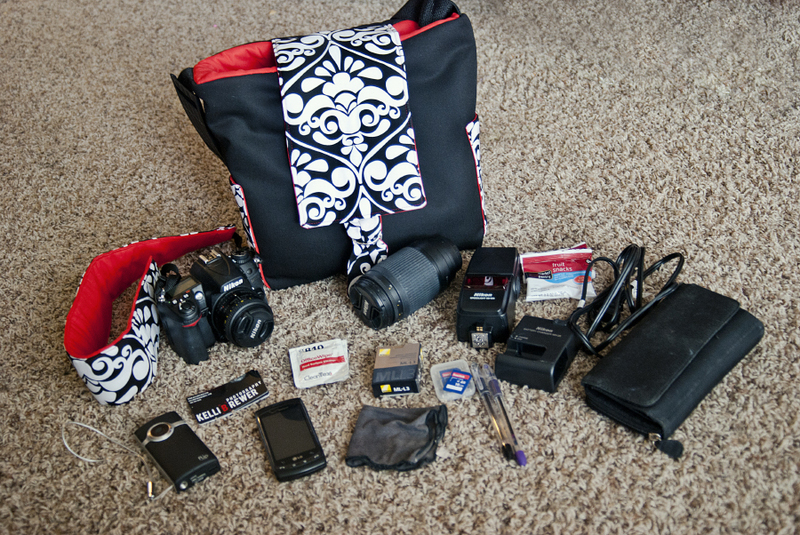 ), flash, lenses, battery charger, lens wipes, memory cards, camera remote, cell phone, pens, business cards, wallet, and yes - even fruit snacks. At some events you never know when you're going to eat. It all fit with ease into my bag. The bag closes at the top with a clasp tightly to secure the gear, followed by the Boho flap which also clasps at the bottom of the bag. A perfect fit. There is over an inch of padding on the bottom of the bag with a hard base to help protect the equipment and help the bag stand upright. The fabric is a twill/canvas - very durable while still being flexible. The strap is adjustable and can be suited for different heights and body types. Lastly, I just couldn't resist adding this accessory to my purchase. 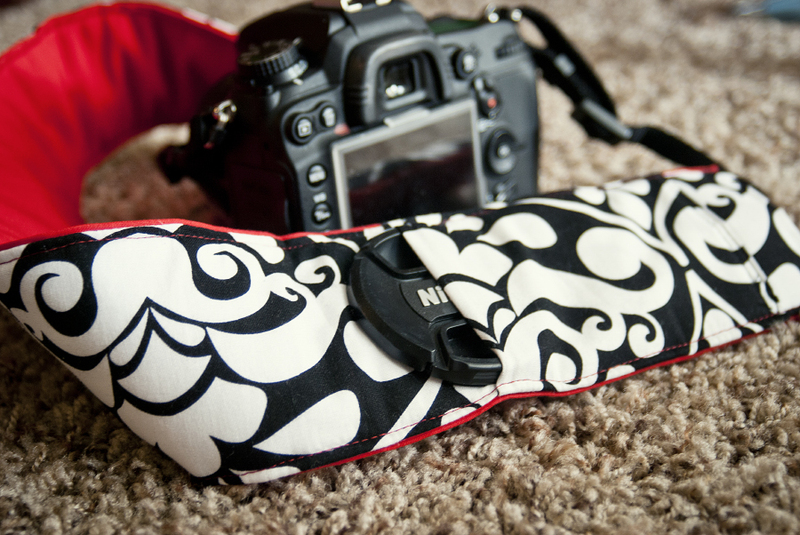 A camera strap cover! Goodbye bright yellow Nikon advertisement, and hello to matchy matchy! =) There are 2 reasons this strap was worth every penny - first, the peek-a-boo lens cap pocket and second the added padding. 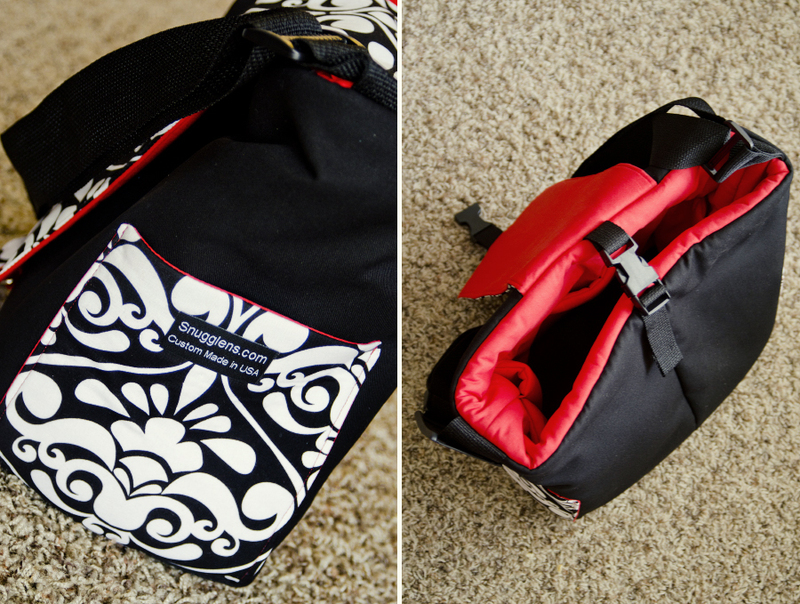 Carrying around a heavy camera body is taxing on the neck and shoulder and this will certainly ease the pain! So there you have it. I would like to clarify I was not paid in any way for this review or "advertisement". 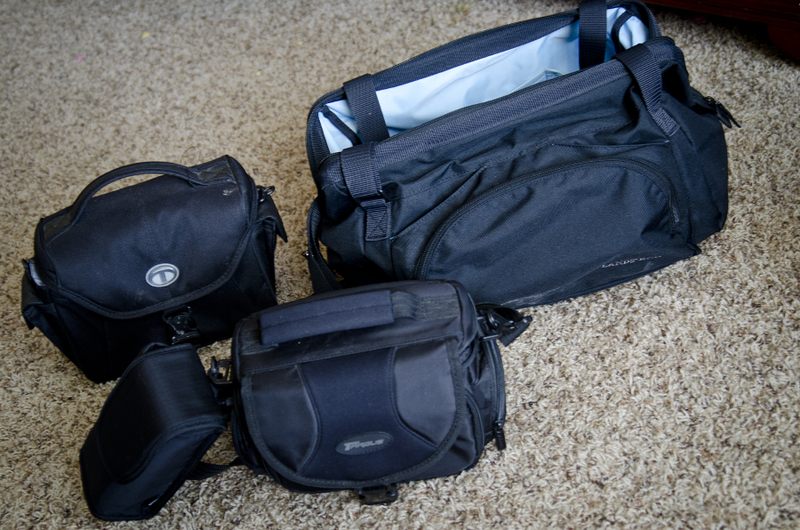 I just love the product and want to share what I've found because there ARE other options out there besides the big name camera bag companies - and cheaper too! As Judy says "there is a difference between home made and hand made" and she makes that completely clear with the workmanship and love put into her bags. If you're in the market, whether large scale or small, she has something to offer you in her shop. Check her out! I have a large hobo bag too and I absolutely love it. It is great to take sight seeing too. Holds all I need, so I don't need a purse! I am so glad you are happy with your purchase. This glowing review is a great testimonial and I appreciate your time in creating it to showcase my product! 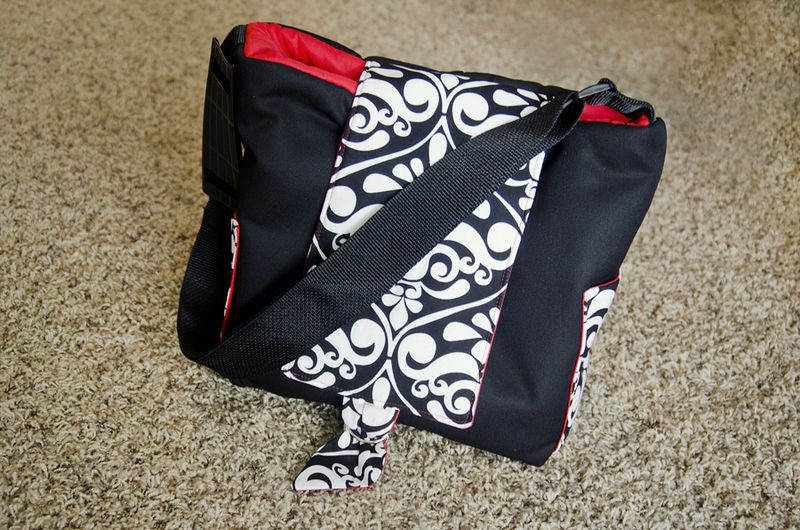 I love to hear good reviews on my bags as I do make each one by hand and try my best to get it perfect. I too have always been frustrated when shopping department stores with mass produced items, high priced and inferior construction, so I try to standout in that part for sure as today we are getting less for MORE dollars in everything we pick up in the stores. Thank you for your detailed review and again, I am so happy...smiling all day...that you are pleased. Awesome review!! 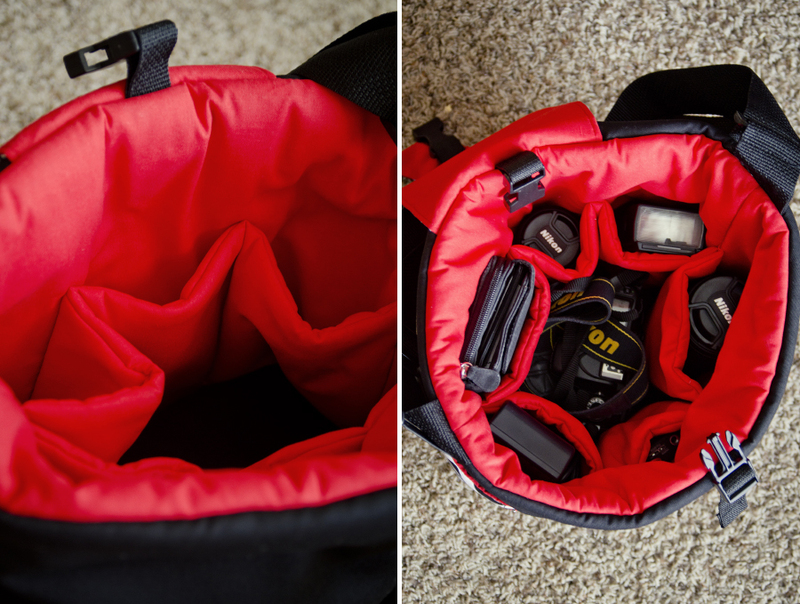 I didn't realize how much I needed a new camera bag till I read this. :) Might have to save up for one! It is so cute!